Evan Welch has been with Antaeus Wealth Advisors since 2011. He believes in establishing enduring relationships with clients by helping them clarify and achieve their lifelong goals and by helping them grow and preserve their wealth. Evan and his network of advisors bring comfort to clients by solving their financial puzzles and helping them develop habits of wealth. Passionate about investments, Evan started investing as a teenager. He is alert and responsive to an increasingly sophisticated investment universe, and leads Antaeus’ investment process and portfolio management strategies. Mr. Welch’s specialty niche is advising doctors, surgeons and other medical professionals. He utilizes his extensive knowledge of their unique needs, ingrained at an early age from a family steeped in medical heritage, to provide the informed advice that physicians require. 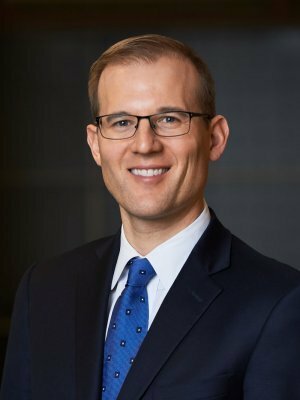 Evan has volunteered through the Financial Planning Association, serves as a corporator for Emerson Hospital and is an advisory board member of the MGH Clay Center for Young Health Minds. He is passionate about aviation, SCUBA diving, history, wine, cycling, meditation, travel, hockey and skiing. He especially enjoys spending time with his wife, Emily, and their three daughters, Charlotte, Gigi and Caroline, on Lake Winnipesaukee in New Hampshire.